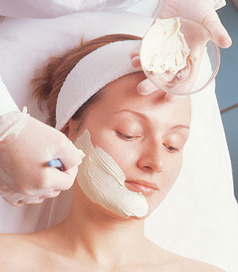 A Classic European Facial in Fontana is offered by True Beauty Aesthetics. A European Facial is a quick simple and often very relaxing way to improve and maintain your skin’s overall appearance, especially if done on a regular basis. It is about 1 hour long and it involves a deep cleansing and exfoliating of the skin, followed by a moisturizing mask treatment, a relaxing massage and towards the end we apply a light weight SPF. It is highly recommended to have a European Facial once to twice a month. And we do offer a monthly payment plan. Dr. Sina at True beauty Aesthetics will make sure to provide the Classic European Facial Treatment in Fontana for his patients. Cleansing: Deep cleanses as it monitors excess oils & replenishes skin moisture. Tone: Our Toning Complex acts as both an astringent & calming process that tones & soothes while restoring pH balance. Massage: Using our aqua massage cream, administer a 10 minute classic European Facial massage under steam. Exfoliate: Pure honey, oatmeal & almond meal help purify & deep cleanse the skin. This phase leaves the skin super clean & smooth. Optional: If extractions are needed, prep skin with Des-incrustation Solution. May be used with or without the use of electro-therapy. Mask: This mask draws out oils as it balances skin moisture. Moisturizing: Our moisturizing complex is a superior protective cream, both light & hydrating.